Category Archives for "Soup & Sauce"
Rafferty’s potato soup is undeniably one of the best potato soups you can taste in the culinary world. What I like about Rafferty’s potato soup is that it’s very rich in flavor and it doesn’t come with too many ingredients that can overpower the taste of potatoes. Another thing I like about Rafferty’s potato soup is that it’s pretty easy to make. With a couple of ingredients at hand, you can perfectly replicate Rafferty’s potato soup at home. 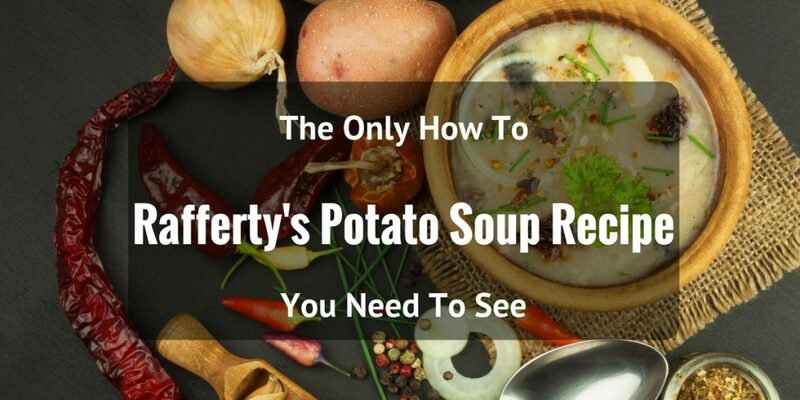 If you’d like to learn how to make Rafferty’s potato soup right in your own kitchen, all you need to do is read on. 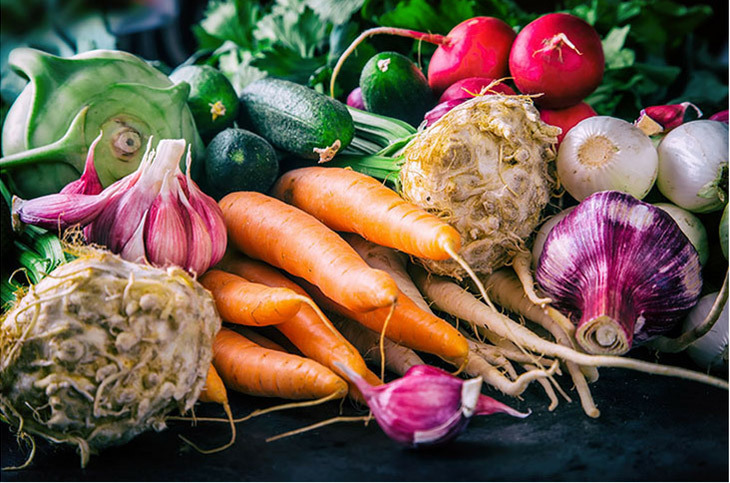 This article will contain a short how to guide that includes the Rafferty’s potato soup recipe and the instructions you need to follow in order to make it. French fries won’t be completed without ketchup as spaghetti won’t be spaghetti without tomato sauce. There are actually other recipes that require tomato sauce. While the plant is beneficial for your health and body, it is also a delicious vegetable for vegans or not. This is a perfect addition to your meal plan or diet plan. Making tomato sauce could be tedious. However, there are prepared tomato sauces which you can buy in the stores. It is usually sour but others add sweetening to alter the taste. 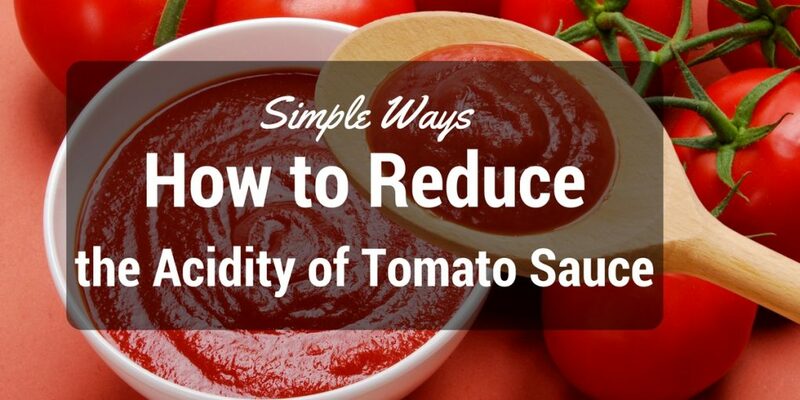 The acidity of the tomato contributes to its bitter taste. 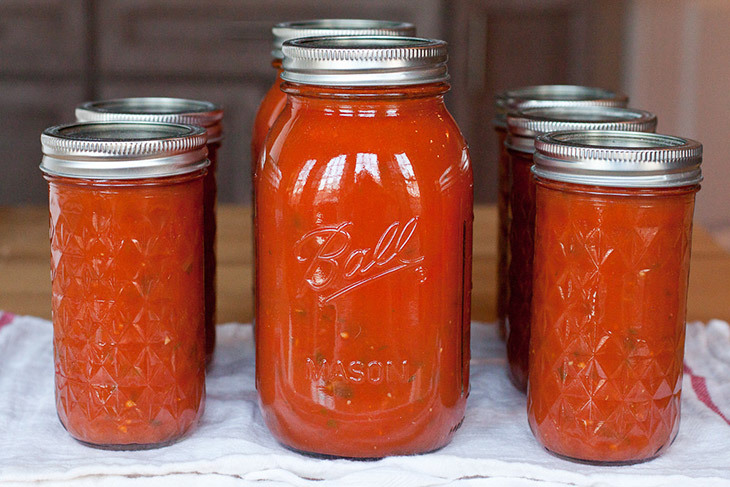 Have you ever tried adding sugar to your ﻿﻿tomato sauce? 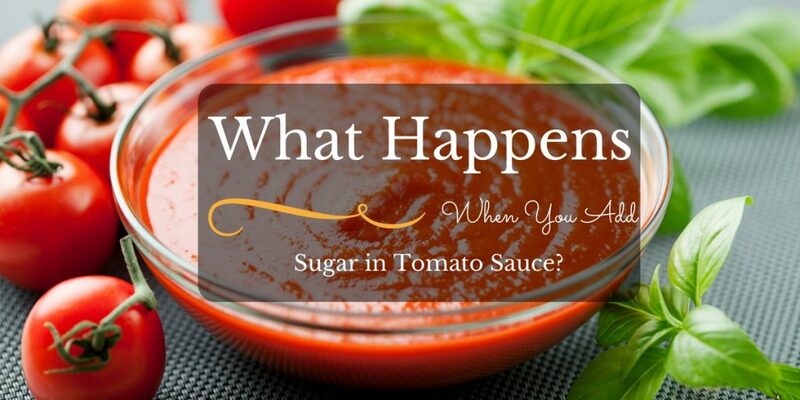 Check out what sugar does in the sauce as you read this article. There is a preconceived notion many cooks have regarding spaghetti sauce made using a can or jar. A lot of cooks will find it acceptable, but they believe it will undoubtedly be inferior to a sauce made using homemade tomato sauce as the base. Many cooks, especially traditionalists, find the notion appalling, and they will refer to the idea as blasphemy. I have to agree with them when it comes down to sauces in jars or cans already stacked with flavors like "Prego: Roasted Garlic and Onion", which is just an example because there are a myriad of concoctions being pushed in the grocery aisles. I believe it is possible to make a better spaghetti sauce using a canned or jarred product instead of spending several hours making the tomato mother sauce as a base. 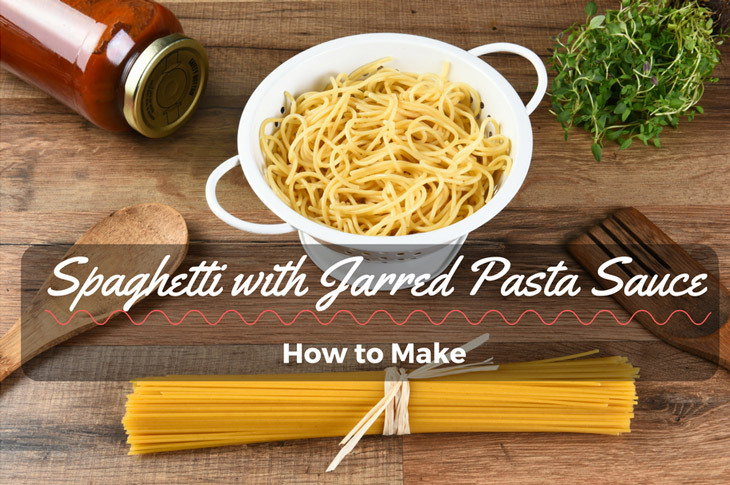 In this blog you will learn how to make spaghetti with jarred pasta sauce or canned sauce. 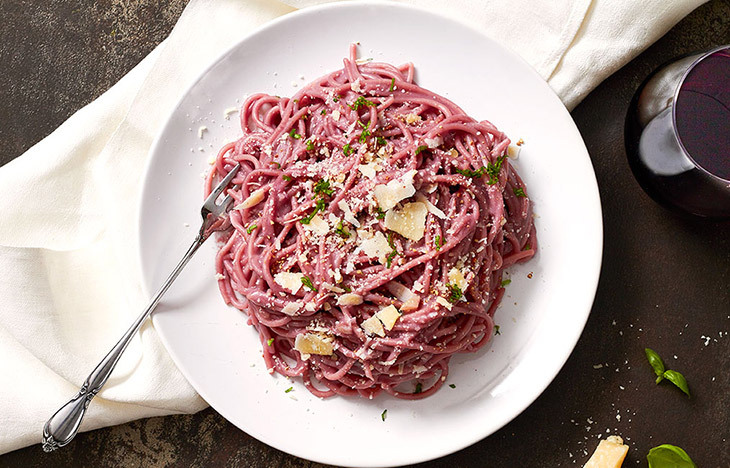 I will explain how to infuse it with flavor and explain cook time to produce a fantastic pasta sauce using a quick, unorthodox and cheap recipe. Anywhere between a third and half of a package of bacon depending on how much you like bacon. 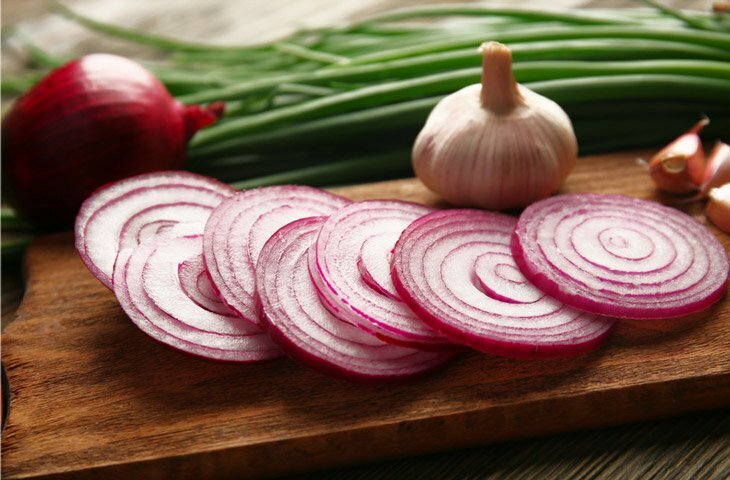 One whole medium or large white or yellow onion depending your preference of flavor. 3 or 4 tablespoons of finely chopped garlic, and you can add more or less depending on flavor preference. 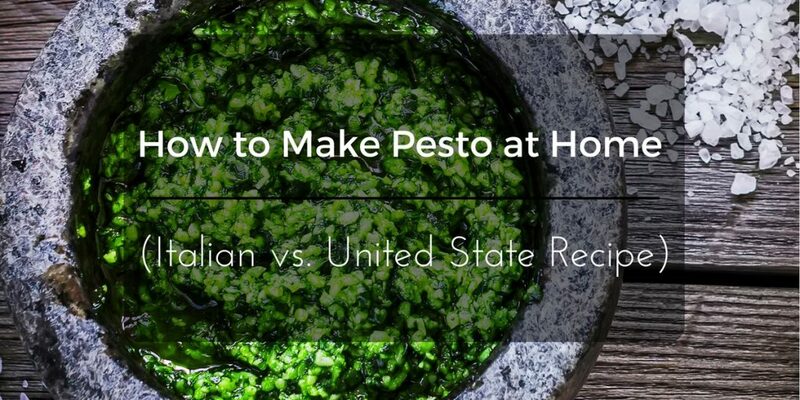 Assemble a dried Italian herb blend of 1.5 tablespoons of parsley, 1.5 tablespoons of basil and 1 tablespoon of oregano. A bottle of any kind of cheap red wine for cooking and deglazing the pan. A box of dried spaghetti noodles with enough pasta for a serving size of four to six people. 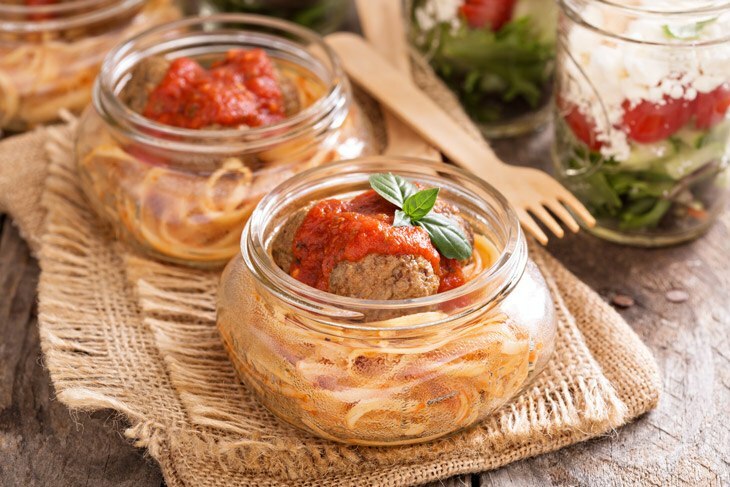 Find two 24 ounce cans or jars of plain tomato sauce, but plain or traditional flavored pasta sauce will suffice. For many, this will be the first time you make a sauce like this, so it is important to do what the French call "Mise en Place". Mise en Place basically means you want to put everything in place. This will apply mostly to anything you need to use your knife on, and it will only be for the main recipe. Mise en Place and the videos will prevent any anxiety during the cooking process. I will hyperlink any important demonstrations of processes to cut down on confusion. 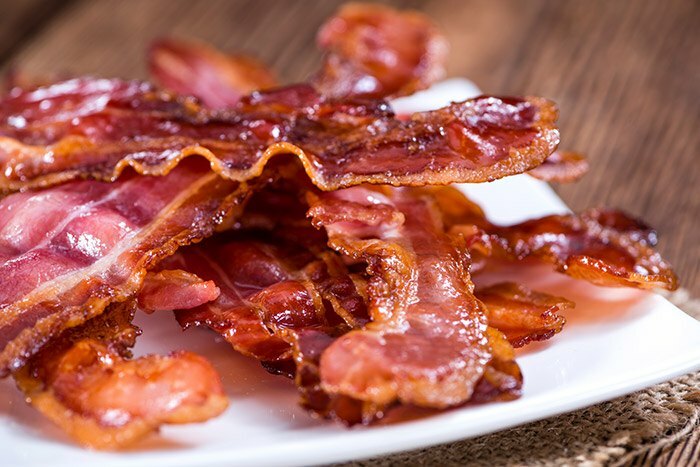 Bacon is the main flavor enhancer of the sauce, and it is technically what is known in the culinary world as the main ingredient of the entire dish. It is extremely easy to dice bacon while it is still mostly frozen with a sharp sturdy knife. Thawed bacon would take forever, and it is a safety risk to try and do a medium dice on thawed bacon. In fact, it is a great way to get cut badly. The onion requires a medium dice, and here is a clip on how to safely medium dice an onion. Everything is now fully prepped to begin the sauce. In the next 20 or 30 minutes, you will have your first bowl of bacon-infused spaghetti sauce, and your friends will tell everyone you made them the best bowl of spaghetti ever. Place all of the bacon you diced from your Mise en Place in the bottom of a metal sauce pan, and make sure it is spread evenly. Next, turn the burner under the sauce pan on medium. You are doing what is called rendering fat. Fill a large stock pot up with hot tap water. You want enough water in the pot to allow the pasta to flow around freely. It will help prevent noodles from sticking to each other, the side and the bottom. A liberal dose of salt should be added as soon as the pot is put on the burner, and turn the burner on high. The salt is essential for the flavor of your noodles. There is no reason to add oil to the water because it does nothing. Finally, remember to stir several times in the beginning to release the starch and periodically throughout the cooking process. When the pasta is done cooking, your spaghetti should be finished. Before the canned sauce is added, there is a lot of work to be done in your sauce pan. It will be fast though. Turn the burner up three quarters of the way. 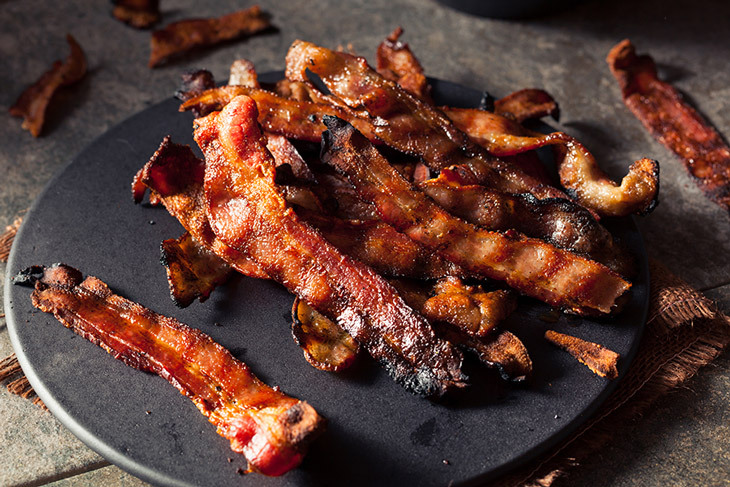 Using a wooden spatula or spoon, start moving your bacon around, so it heats evenly and cooks faster. You should notice quite a bit of bacon grease. It is from the fat rendering out of the bacon. Do not panic. This is the fat you are going to use to sauté your onions in and any other of the elective ingredients like mushrooms. Once the bacon looks like it is going to start getting crispy, add all of the prepared diced onions. Stir them around in the pot well, so they get coated in the bacon fat. Let them cook for a little while until they start to become translucent. White onions are sweeter, but they taste even better when cooked translucent and coated in bacon. At this point, the smell should be causing your mouth to water. First, increase the heat quite a bit to burn off some of the excess fat. Some dark spots will naturally form on the bottom of the pan, but there is nothing to worry about. 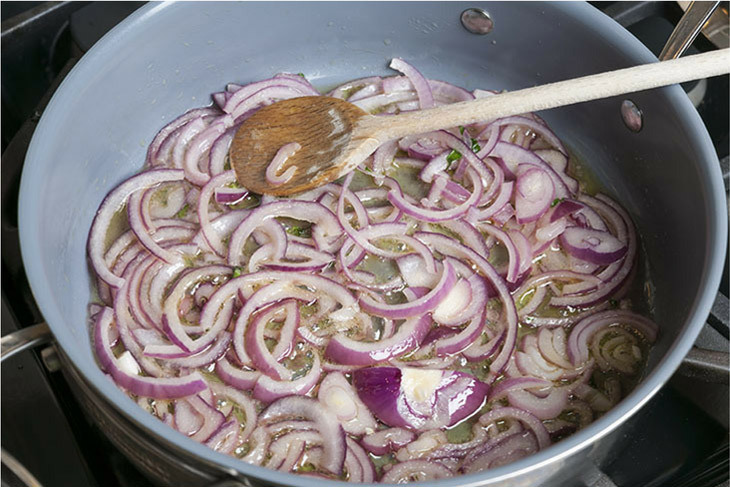 Toss all the garlic you requisitioned during your prep, do the same with the herbs and stir. Stir fast and fold everything in. Before adding the red wine to the increasingly hot mixture, turn the burner on absolute high. There is no magic, precise measurement for this step either. Add a little around the edge and pour it on places where food is becoming stuck, and in the end, there should be a very shallow coating on the bottom. Keep the burner on high because the red wine will burn off and keep stirring the bottom hard and fast. Now, it's time to finish up. Add the cans of sauce, and incorporate the bland tomato sauce with the natural flavor enhancers you have prepared and cooked for the last 45 minutes. Turn the burner down to medium, add salt and pepper to taste. 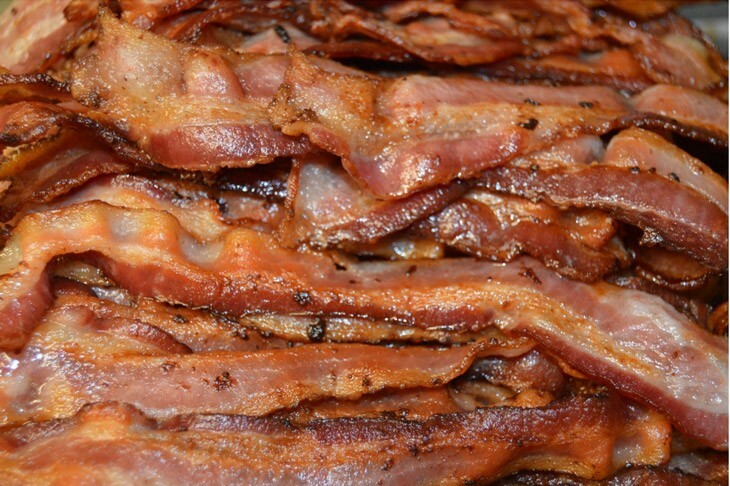 Remember the foundation of the entire dish is bacon, which is salty. Finally, add any of the Italian herbs to taste. Once you are satisfied, turn the burner down to low heat and cover it. 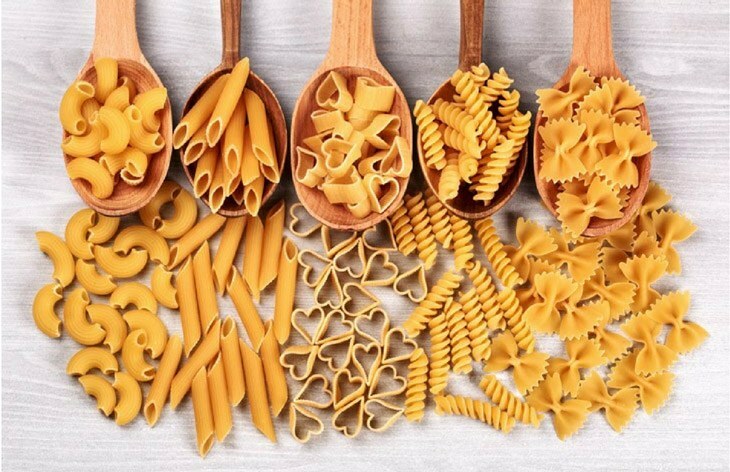 Drain your pasta, and rinse it with cold water. Add the spaghetti noodles to whatever you are going to serve them out of, and toss the noodles while lightly drizzling extra virgin olive oil. Your meal is completed, and you can assemble it for serving however you want. I really hope you enjoyed the article and the spaghetti. This has always been a favorite sauce of mine. It is not a complicated sauce, but my first Italian chef mentor showed me this as an alternative for red pasta sauces. Despite knowing hundreds of dishes, this spaghetti was the first thing I ever cooked for my wife (she like Spaghetti and Hot dogs), and I think it might be why she loves me. I am interested in what you, the reader, thinks though. Leave comments below, and let us know your thoughts on the dish. Did you love it, hate it or have any trouble spots during preparation? If you did enjoy it, then share the link with someone else.